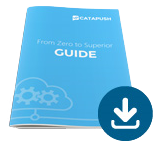 Catapush use Voip Push Notifications (PushKit) as a component of its reliable and secure push message delivery system. 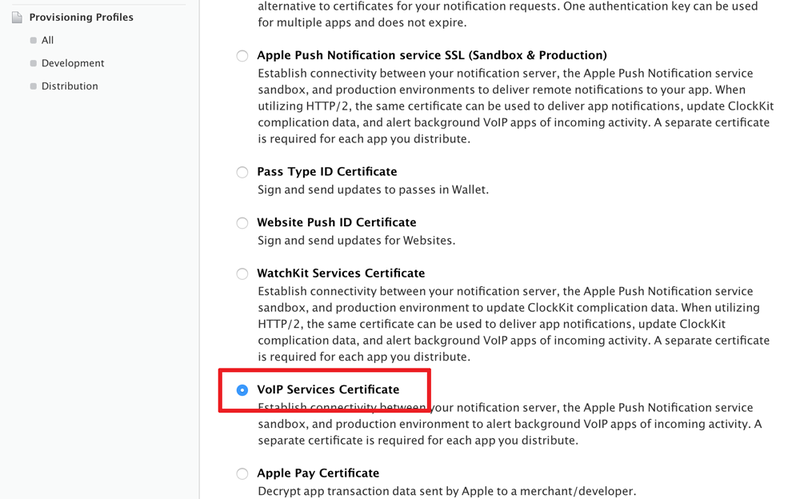 Here are the instructions on how to set up the Apple APN Push Notifications Services, to setup the system correctly you have to create a certificate on iOS Dev Center, export it and upload on Catapush Dashboard. Log in to the iOS Dev Center and click on the Certificates, Identifiers & Profiles. Go to Identifiers > App IDs. Add a new App ID clicking the "+" button. Under App ID Description enter the Name of your application, for example: "My Application Name". 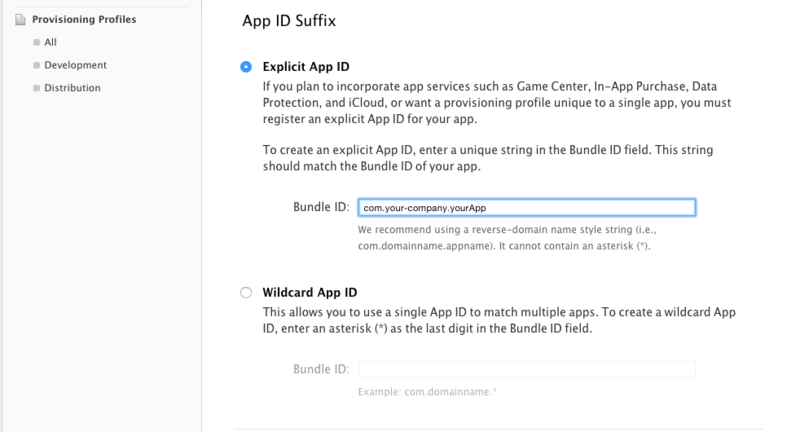 Under "App ID Suffix" make sure "Explicit App ID" is selected. Enter the the Bundle ID of your app. Once you have created your application id, select "All" in the "Certificates" section on your left and click "+" button. 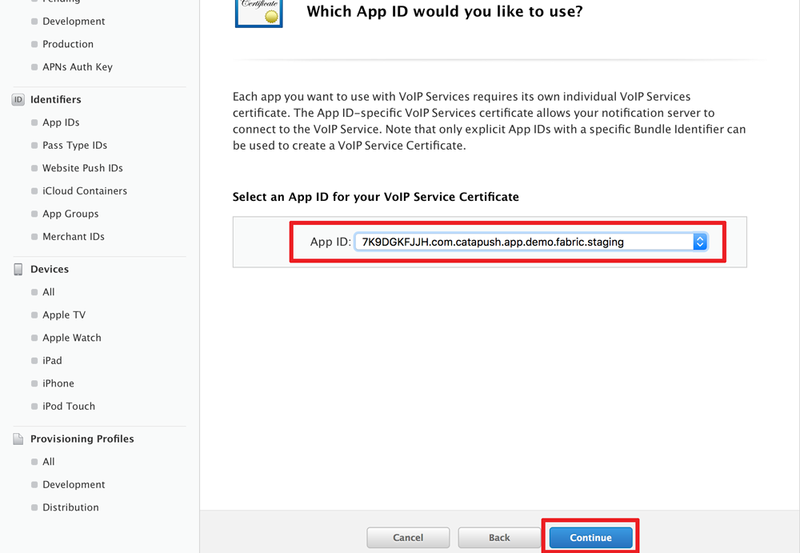 Make sure to select "VoIP Service Certificate" and press "Continue" button. Select the "My Application Name" application created in previous step and press "Continue" button. 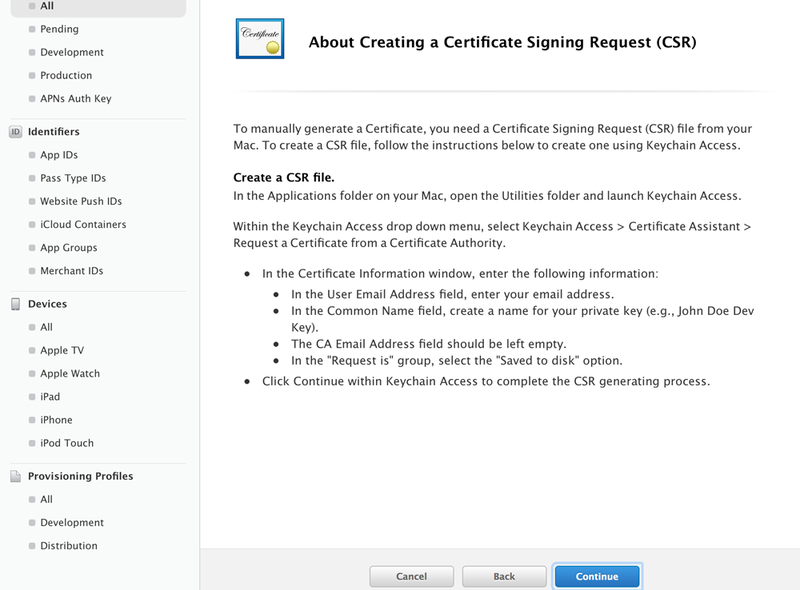 You must generate a Certificate Signing Request (CSR) so that you can use it to request the certificate, you can do it by using the Keychain Access application. Click on Certificate Assistant, and then Request a Certificate From a Certificate Authority. Enter the required information and choose the "Saved to disk" option. 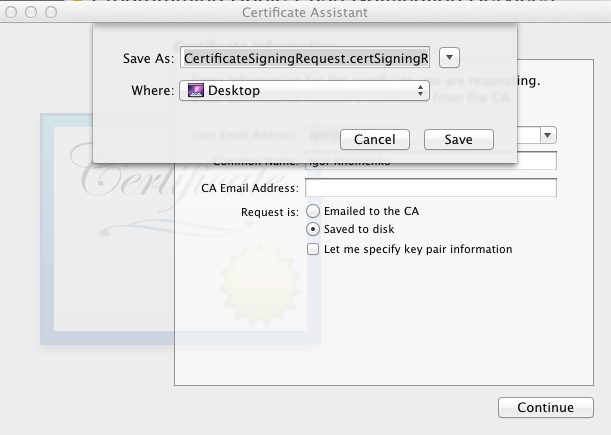 When you click Continue, you will be able to save the certificate request using the name suggested by the system then you can upload it in the previous window. After you're done the wizard, you can download the certificate which you have created. A double-click on the certificate that you downloaded will start the installation process in the Keychain Access application. This certificate will be used by Catapush so it can contact the APNs in order to send push notifications to your application. 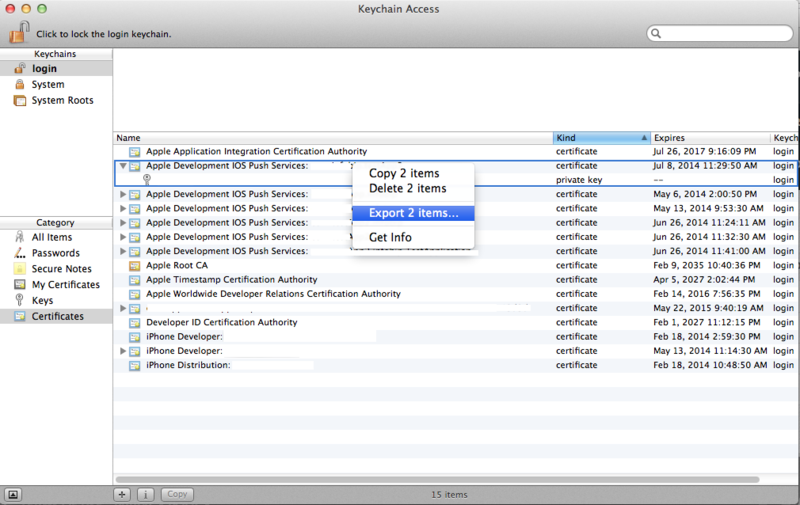 Launch the Keychain Access application from your local Mac and from the login section, filter by the "Certificates" category. You will see an entry called "VoIP Services: your.bundle.id" with the bundle of your application. Expand this entry, select both the certificates: "VoIP Services: your.bundle.id" and the private key, then right click on them and choose "Export 2 items"
Choose ".p12" file format from the dropdown menu and save the file somewhere where you can access it. 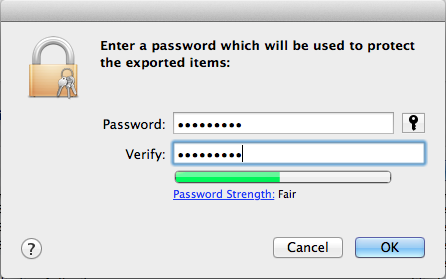 You could enter the password for exporting (the field can be left empty, if you choose to use a password then the same password must be entered on the Catapush Dashboard). Go to iOS Library/SDK quickstart.